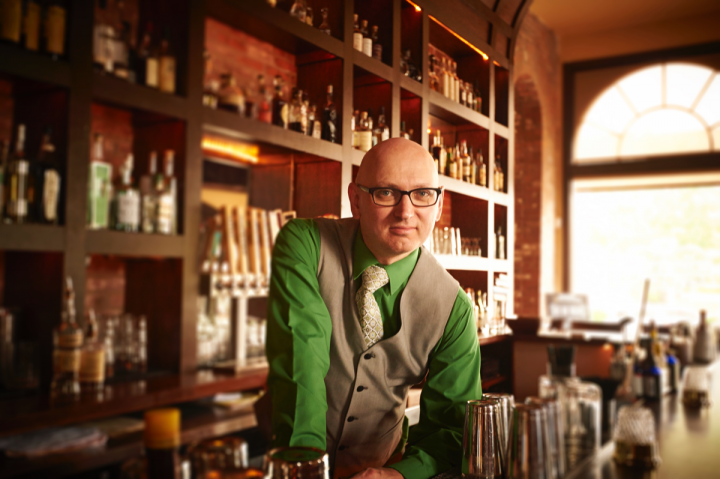 Co-owner Ted Kilgore infuses his bar program with creativity. Creative genius often has humble beginnings. Ted Kilgore’s first began tending bar at the Holiday Inn in Springfield, Missouri, in 1997. By 2006, he’d been recruited by St. Louis–based Niche Group to head their craft cocktail bar, Taste. In 2013, Kilgore left to launch his own venue with his wife, Jamie—who had been bar manager at Niche restaurant—and Ted Charak, previously bar manager at Brasserie by Niche. That venue is Planter’s House, which debuted on Repeal Day, December 5th, 2013. “We focus on classic cocktails because people gravitate toward them for a reason,” Kilgore explains. “That’s what they want to drink on a day-to-day basis.” The menu lists five cocktail sections. “House Favorites” ($9) includes traditional recipes like the Southside, Zombie and Jack Rose, while “Aperitif Cocktails” ($10) showcases vermouth-based drinks. “Cocktails in a Bottle” offers 500-ml. ($25) or 1-liter ($50) bottled drinks like the Manhattan or Negroni. 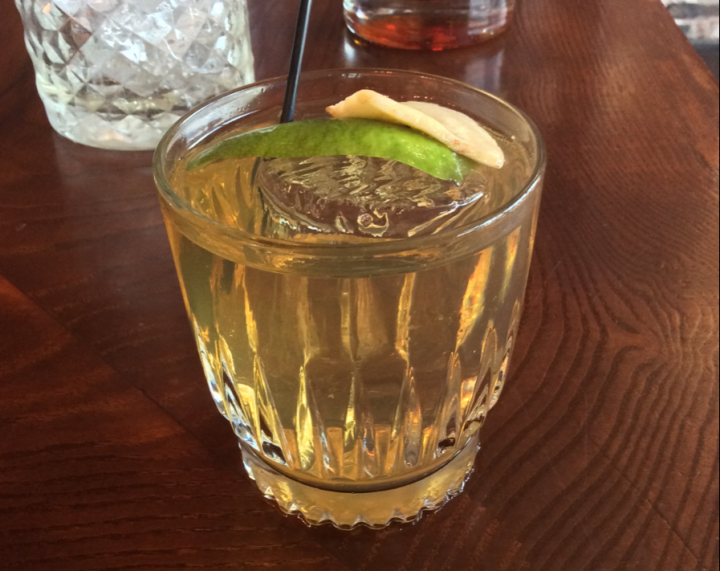 “New Classics” ($10) highlights such modern-era drinks as Audrey Saunders’ Old Cuban and Erick Castro’s Kentucky Buck. “Planter’s House Cocktails” ($9 to $12) features original recipes devised by Kilgore and his staff. The current best-seller, an Old Fashioned riff called There’s Always Money in the Banana Stand, comprises Rebel Yell Small Batch Bourbon, Giffard Banane du Brésil banana liqueur, house-made lemongrass syrup and Bittermens ‘Elemakule Tiki bitters. Another favorite is the Planter’s House Style Manhattan, which mixes Four Roses Single Barrel and Larceny Bourbons, Angostura amaro, and a house blend of Punt e Mes vermouth, Cappelletti aperitif and Averna amaro that’s steeped with citrus zest. Planter’s House can host up to 150 guests, and the high volume means Kilgore has to find ways to mix cocktails quickly. Several drinks feature house-made liqueurs, which he creates using Everclear grain alcohol, simple syrup, and fruits, vegetables, herbs and teas. “I’m taking seasonal ingredients and making them shelf-stable,” he says. 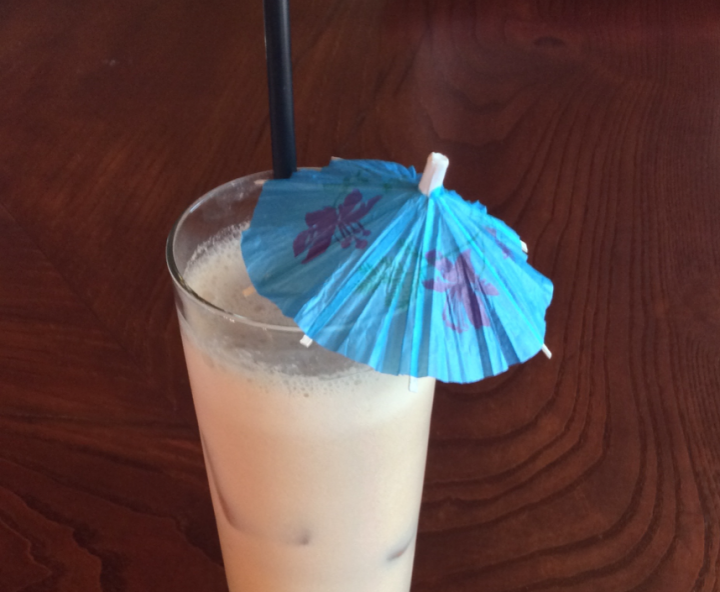 The Thai Tea & I, created by bartenders Mandi Kowalski and Keyan Still, features North Shore Distillers No. 6 gin, house-made Ceylon tea liqueur, Angostura amaro, house-made tamarind-cola syrup, milk and orange flower water. Though his menu offers complex cocktails, Kilgore notes that Planter’s House aims to be a neighborhood bar. “At the end of the day, we focus on making people happy,” he says. 1 drop orange flower water. Add all ingredients to an ice-filled shaker and shake. Strain into a Collins glass with three Kold Draft ice cubes and garnish with an umbrella. 1 Steep 1 cup Ceylon tea leaves in 6 ounces Everclear 95-percent abv grain alcohol and 7 ounces water for 2 hours or to taste. Strain and stir in 13 ounces simple syrup. 2 Combine 16 ounces tamarind pulp, 12 ounces cola, 3 vanilla beans and 1 cup white sugar in a saucepan and cook over medium heat, stirring occasionally, until the syrup has reduced and the tamarind is floating on top. Strain through a chinois sieve into a clean bottle and refrigerate. Stir Bourbon, liqueur, syrup and bitters in an ice-filled mixing glass. Strain into a highball glass with one large ice cube. Express the lime peel over the glass and garnish with the peel and a banana chip. 3 Combine 16 ounces white sugar with 16 ounces water and ¼ cup chopped fresh lemongrass in a saucepan and heat until the sugar dissolves. Refrigerate for 24 hours, then strain off the lemongrass, bottle and refrigerate.